Is your dryer leaving your clothes too wet? Is your refrigerator not keeping your foods fresh? No matter what problem you’re experiencing with your home appliances, it can cause you to experience stress. Keep your frustration and aggravation to a minimum by contacting the appliance repair professionals at Morris County Appliance Repair. We offer a full range of appliance repair services to homeowners in and around Morris County, and we’re happy to provide you with refrigerator repair, oven repair, dishwasher repair, and more! Call us today and get the help you need to ensure that your household runs smoothly. To receive future promotions and offers, send us an email! Morris County Appliance Repair is located in Rockaway, NJ, and as our name suggests, we offer appliance repairs to homeowners throughout Morris County. 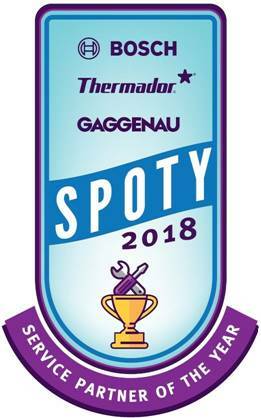 We're happy to provide our oven repair, refrigerator repair, and dishwasher repair services to homeowners in Rockaway, Chatham, Hopatcong, Kinnelon, Montville, Morristown, Mountain Lakes, Parsippany-Troy Hills, Randolph, Summit, and other local communities. When your household appliances aren't giving you the performance you need, you can count on us for precise appliance repairs that will last. Call today to set up your next service appointment! If you want to avoid the risk of having to replace your home appliances, you need appliance repair right away. In most cases, appliance malfunctions only get worse—sometimes irreparably worse—the longer you wait to have them fixed. The professionals at Morris County Appliance Repair have 50 years of experience in the business, which means that we have the tools and the expertise to ensure that you don’t have to waste tons of money on appliance replacement costs. With our help, you can get a lot more life out of your appliance and ensure that your home runs smoothly with a fully functional dishwasher, refrigerator, and more. Save yourself some money and hassle today by choosing our appliance repair services. Call or e-mail us now to get superior customer service and efficient appliance repairs for your home. 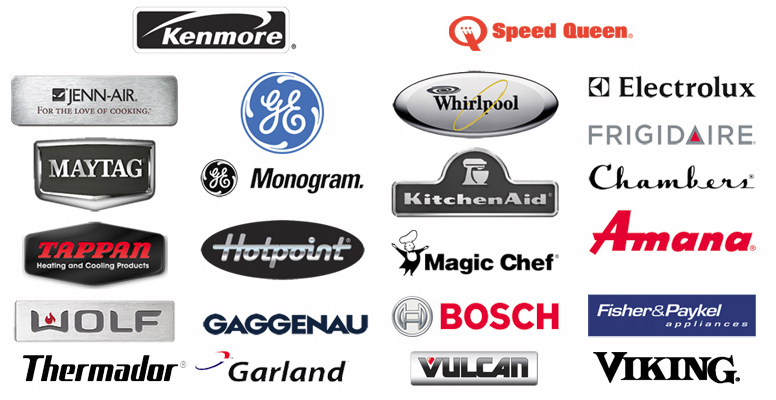 If you’re doing a DIY project, you can count on us for high-quality appliance repair parts. Here at Morris County Appliance Repair, we're proud to be both an appliance repair company and an appliance parts dealer, so no matter what type of help you need to get your appliances back to working their best, whether you need washing machine repair or air conditioner repair, we're here to provide you with the assistance you require. 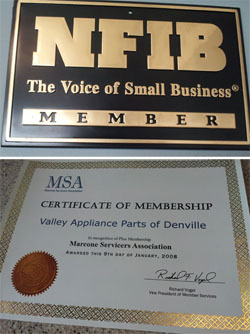 For your safety and peace of mind, Morris County Appliance Repair is both licensed and insured.